It’s almost here……Halloween. My favorite holiday after Hanukkah, Christmas, Groundhog Day and my adoption anniversary. I started Trick or Treating early when mom took me to Tio Jonathan’s house. I wore my Chicken Thief costume, which brought back memories of my chicken incident in February. Mom and I don’t talk about it. Even so, she thought it would be a good reminder of my brief life of crime. My god sister Maya and Aunt Kelly bought me a new costume. It’s a good thing too because mom retired my Bride of Frankenstein wig, my hat keeps falling off my head and I peed on my dress yesterday. I can’t help it, I have boy parts that don’t work well with dresses. We’re all going Trick or Treating on Halloween. I hope mom brings extra pillowcases for all the yummy treats I’m going to get. Maybe we’ll need a U-Haul. Yippee! I’ll keep the number handy just in case. I was going to give you my tips for the best Halloween ever and now I don’t have to because Annie Colbert from Mashable beat me to it. 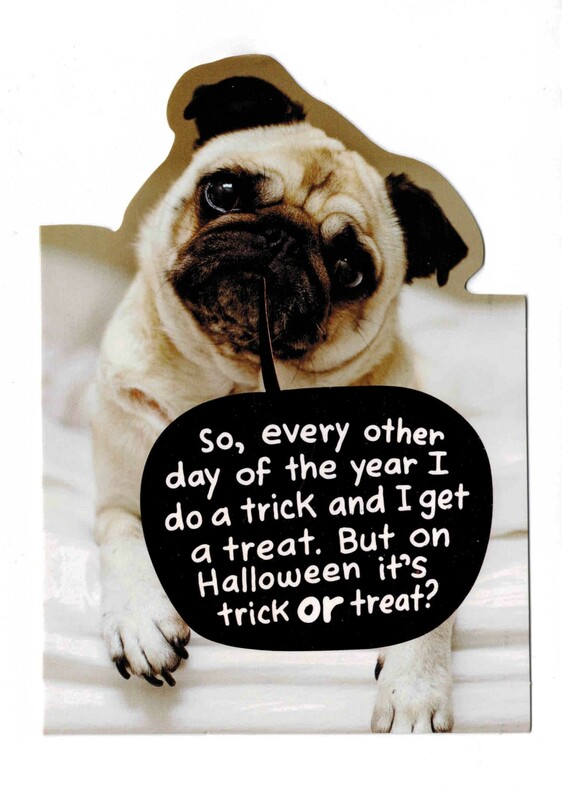 You can see her 12 Pug Tips for a Stellar Halloween here. Aunt Lisette picked out my card for mom. It’s exactly what I would have chosen if I could drive to the store. Thank you Aunt Lisette for always thinking of me! Mom took me to another party Sunday. 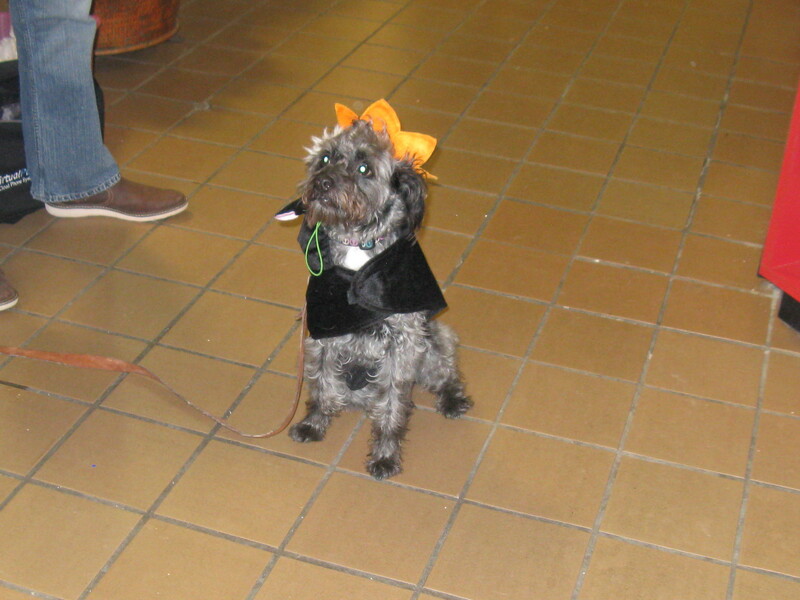 This one was at Buzzy’s Bow Wow Meow and benefitted PACT for Animals, an organization that places pets of military personnel who are being deployed into loving foster homes. 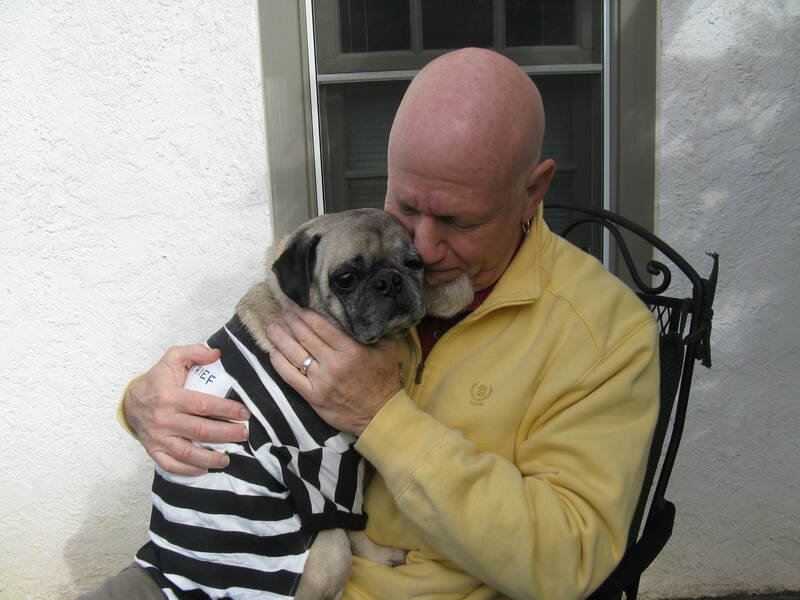 Buzz Miller works hard to match the fur kids with good foster homes. I was happy to go and donate part of my allowance for such a good cause. And I got to dress up again and play with new friends Talullah and Charlie. What are the odds that I would meet another Talullah? It also gave me an idea, which I’ll write about after Halloween. I have to work on the plan so stay tuned. I didn’t know we were going to have a celebrity at the party. 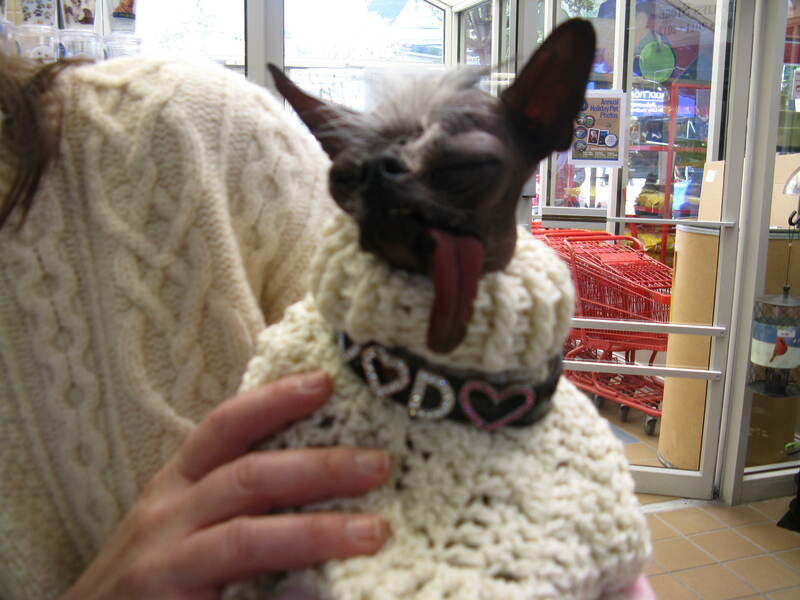 Remember Elwood, the world’s ugliest dog? He was there and he’s not ugly. He’s cute, sweet and bald, which I admit kind of creeped me out. Mom said his skin was so soft. He must use bath oil. He didn’t play with the rest of us. I guess his big blingy collar was so heavy that he would have tipped over so his mom carried him around. We mortals could only admire him from afar. I met a Pug who invited me to a Pug Halloween party next Sunday. It’s going to be soooo much fun. So many sweet, cuddly, squishy lovable Pugs in one place at one time. I can hardly wait! Hey mom, is tomorrow Sunday? I have to get my costume ready. Happy Halloween everyone. I hope you get the kind of candy you like. Make sure it’s wrapped and don’t eat anything until you ask your mom. And most of all, don’t let your mom take all the good candy and hide it from you! 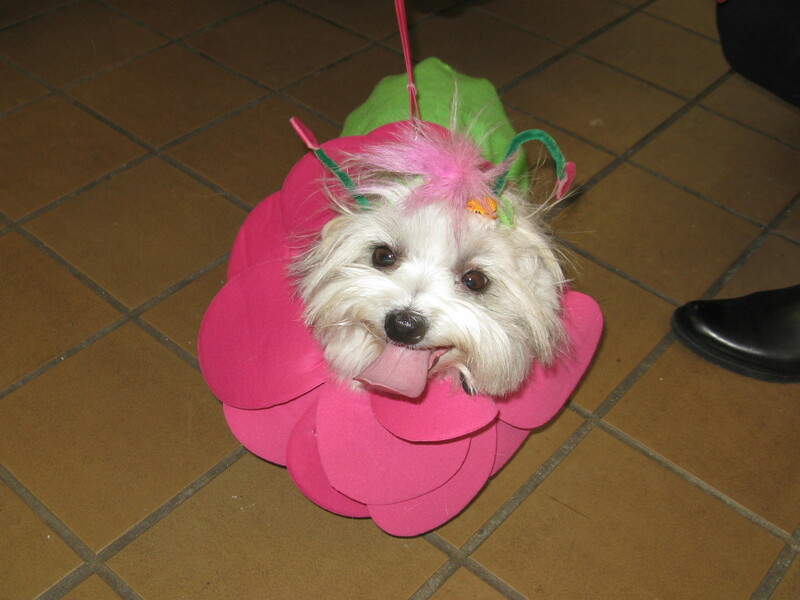 This entry was posted in Uncategorized and tagged Halloween, Mashable by pugsleysworld. Bookmark the permalink. 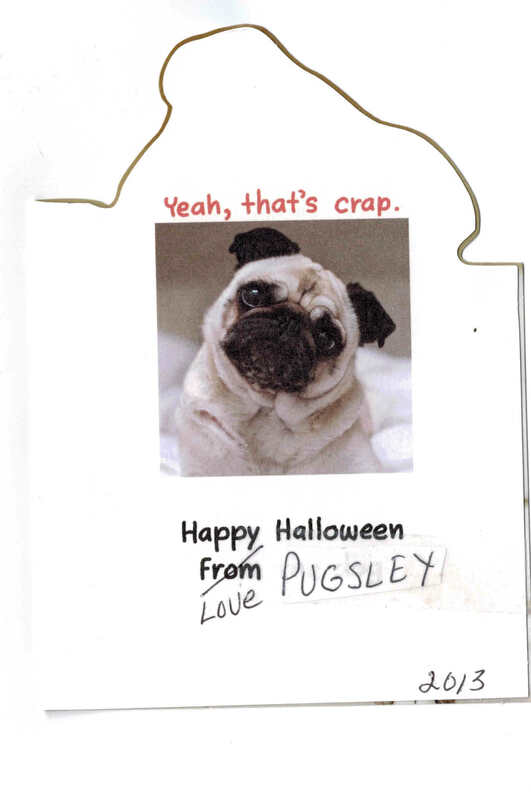 have a fun halloween – Pugsley no chocolate for you!!! !